For window installers, replacing old sash windows makes up a substantial part of business. With customers often wanting windows that are built to last, old timber models are regularly being replaced with uPVC alternatives. But as an installer, what should be considered prior to installing replacement uPVC sash windows? If you are due to undertake a replacement project in a conservation area, you need to be aware that an article 4 direction could be in place. This may prevent you from fitting certain windows. Fortunately, the Ultimate Rose collection, winner of New Product of the Year in the G13 Glass and Glazing Industry Awards, have been designed to meet the exact specifications of traditional timber sash windows. This has led to them being approved for use in conservation areas. Which option is the most suitable for that particular property? Windows are specifically designed to meet the architecture present on the rest of the property. 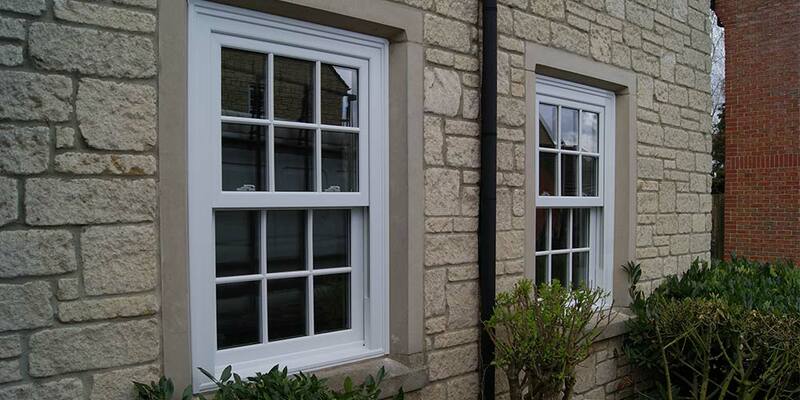 Therefore, it is important for installers to have an idea of which replacement uPVC sash windows are best matched. If you find yourself suggesting unsuitable replacements, a customer may take their business elsewhere. Do they meet insulation standards? Your customers are likely to want their replacement uPVC sash windows to remain thermally efficient. Timber, naturally, provides excellent insulation levels, meaning new uPVC versions have to be able to match up to them. With energy efficiency ratings of A across all our window collections, the insulation levels provided by timber options are comfortably replicated. All of our windows have been PAS 24 2016 accredited, meaning they meet industry standards. Plus, Secured by design accreditation is available, for those looking for an extra layer of security. With anti-jemmy bars fitted as standard, they are ideal for customers who require enhanced security features on their replacement uPVC sash windows. Also, Charisma Rose windows look stunning and are extremely cost-effective. This means they are suitable for a huge range of properties. Their Eurocell profile allows for super-fast installation times too, allowing installers to quickly move on to other jobs. With an impressive range of optional features available, including run-through horns and a deep bottom rail, installers can easily tailor them to customer requirements. Any replacement window project should undergo adequate planning before it’s taken out. And as an installer, it is important to know exactly what to consider during the planning stage. If you have any concerns regarding window replacements, or other window related queries, contact one of our experts here at Roseview Windows today.